Are you looking for quality tow truck service in Oregon? 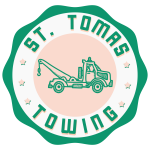 St Thomas Towing Portland OR is the answer. We have highly-skilled technicians that are more than competent to handle whatever task is laid before them. With the utilization of our fully equipped tow truck service trucks, we can smoothly deliver the service that we promised. Tow Truck Service. 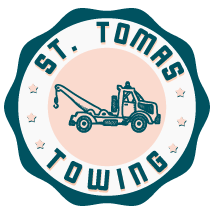 Call St Thomas Towing Portland OR right away for dependable tow truck service in Oregon especially if you find yourself stranded with a car that is not starting up as it should. Because our light duty tow trucks are very easy to maneuver and agile, they are perfect for towing cars and trucks that are stuck in confined spaces. 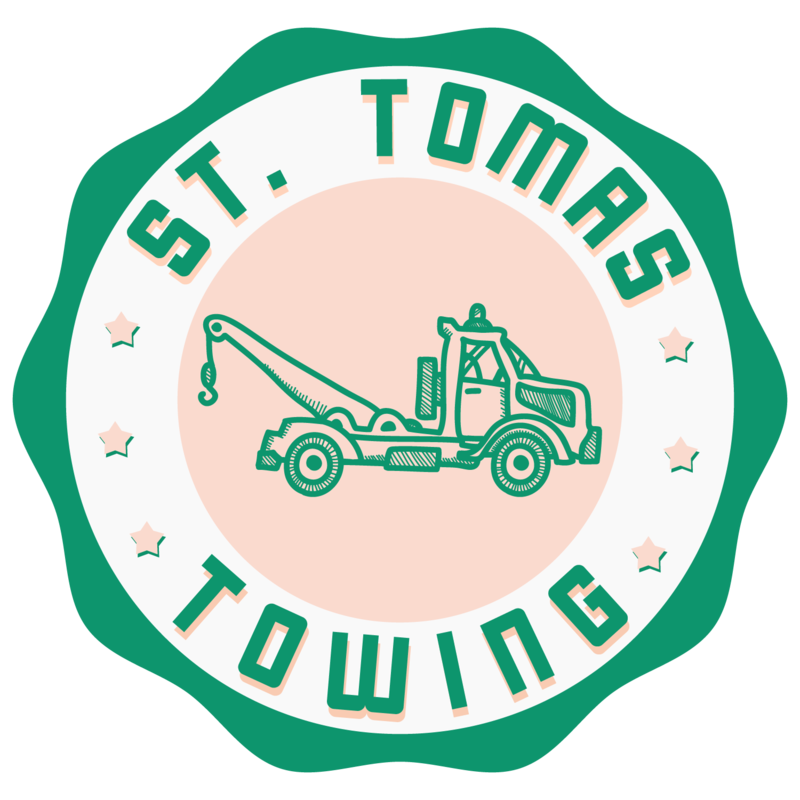 Our skilled drivers can easily operate the light duty tow truck to remove and recover cars that are jammed between cars such as with the case of parallel parking. We have round the clock towing technicians ready to help in many emergency calls such as help with car lockouts, tire change, and car jumpstarts. Designed just like the traditional wheel and chains, wheel lift tow trucks are equipped with metal yokes and hydraulic hoist. The metal yoke is safely secured underneath the front or rear end tires during the towing process. This set-up prevents contact of the towing vehicle and the vehicle in tow. Our towing in Oregon is not only reliable and high-quality but also very affordable. Know more about our services, by giving us a call today. Flatbed towing is commonly used on vehicles that are an all-wheel or four-wheel drive. Our flatbed tow trucks have platforms on their backs where a vehicle is placed for towing. 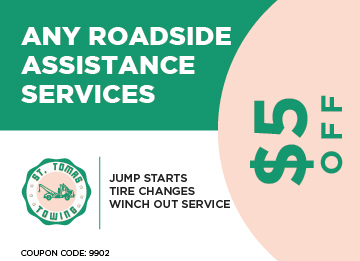 This means no tires are left to roll on the road during the towing process. Our flatbed tow trucks are designed to allow easy loading of a vehicle into the platform. Because of its benefits, flatbed towing has remained as one of our most popular type of towing among our clients. 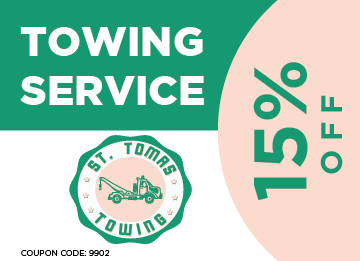 For more information about our flatbed towing in Oregon, call St Thomas Towing Portland OR today and speak with our friendly customer service staff. Our medium duty towing can handle a number of different vehicles. Whether its a trailer, campers, minibusses, pickup trucks and more. Installed with the right mechanical devices, our medium duty tow trucks can easily recover cars that are stuck during off-road driving, or during camping. Being stuck in the middle of nowhere can be a cause of great source of frustration and sometimes can be dangerous. But call St Thomas Towing Portland OR right away for emergency car trouble assistance. Get in touch with us today and learn more about our medium duty towing in Oregon.